Recently I received an e-mail asking me what I thought about international travel. Since I talk a lot about microadventure, this reader wondered if I had any plans for bigger trips, and if I had a passport. He also wanted to know if I thought he should get one, even though he doesn’t yet have plans to travel internationally. After returning his e-mail, I decided it might be worthwhile to work my thoughts on the matter into a post, which you’re reading now. You may have guessed from the title of this post what my thoughts are on the matter of passports, but I hope you’ll read on anyway. 18 year old me. 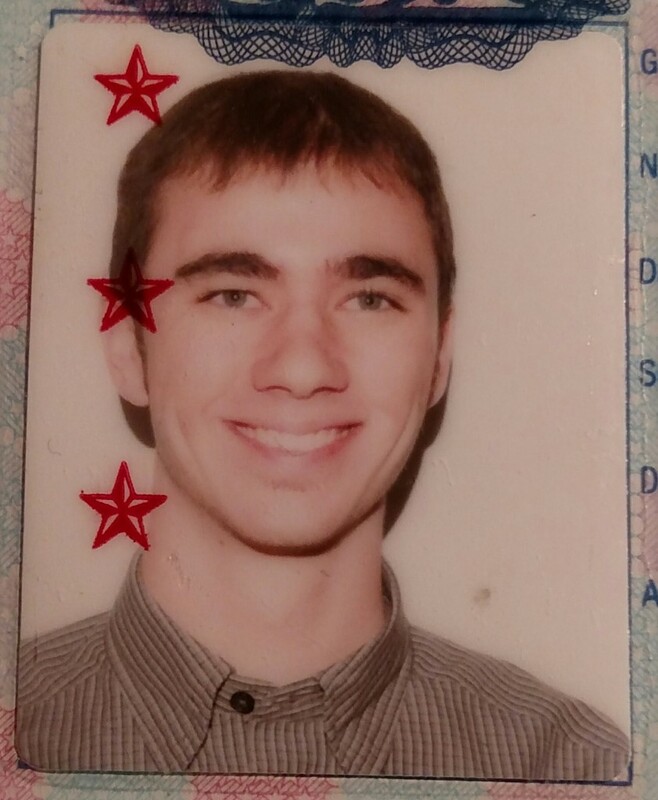 Back in 2001 you could smile in passport photos. -now everyone can look at this photo that makes me look insane. 32 year old me couldn’t smile in the photo. I’m not too worried about looking bad in the picture for two reasons. First of all everyone’s passport photo is bad, right? Secondly, because it’s important to have a current passport, even if you don’t have any plans for international travel. When I renewed mine, I had submitted an application to be a volunteer crew member on the Draken Harald Hårfagre, a modern recreation of a Viking sailing ship making an Atlantic crossing this summer, but I knew the likelihood of getting selected was pretty slim. Sadly, I wasn’t chosen to be a crew member, but I’m still glad that I renewed my passport, even though I don’t currently have any plans for a trip abroad. 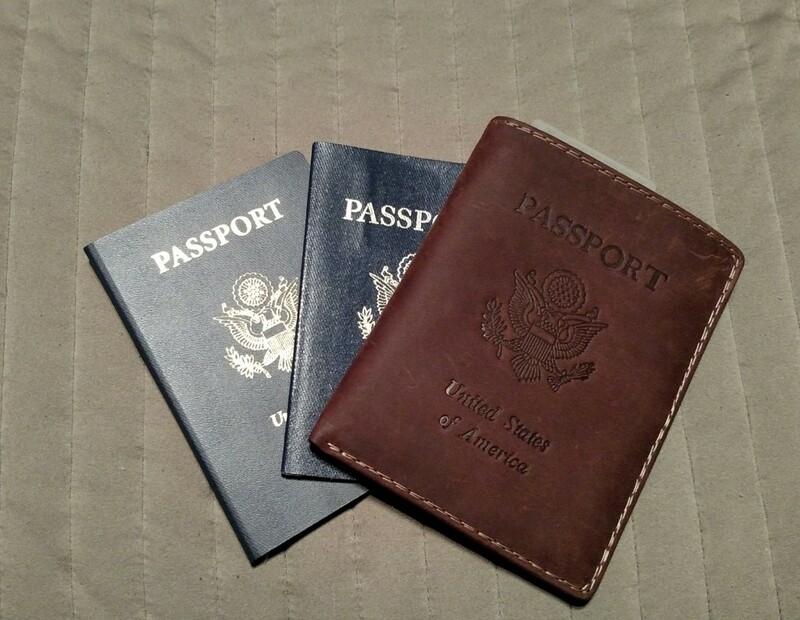 New passport, old passport, and a sweet leather passport case… I may not have plans, but I’m ready anyway! I recommend that everyone get a passport. It may seem silly if you’re not planning on taking a trip to a foreign country, but there are still good reasons for having one. 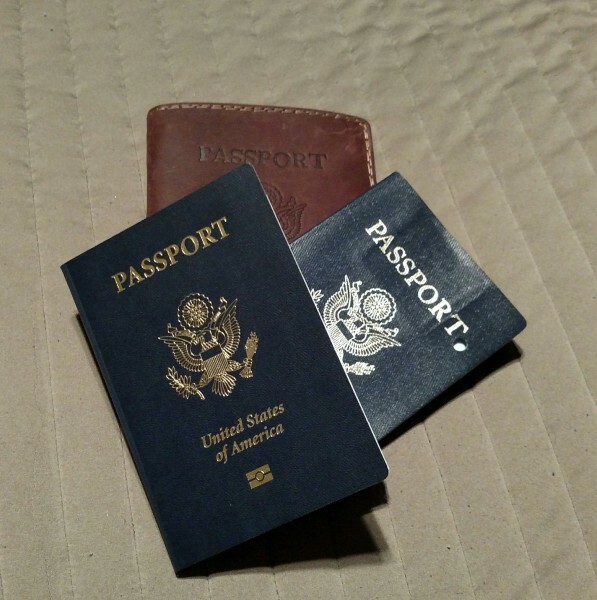 If you’ve been debating getting or renewing one, or if it’s not something you’ve ever really considered, here are four reasons I recommend getting a passport. 1. You need a passport in case something bad happens. Accidents happen. People get injured, or get sick. If something were to happen to my wife, a friend, or a family member while abroad, it’s nice to know that I could go help get them home. 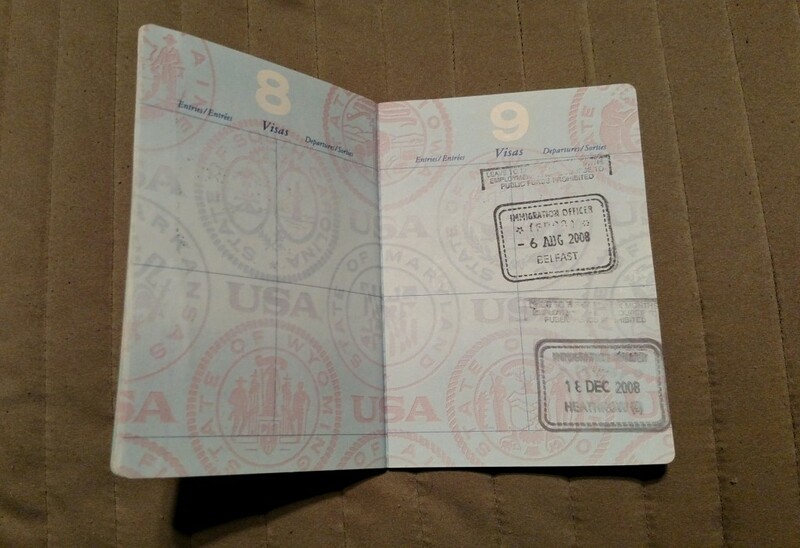 Even in an emergency, the expedited process for getting/renewing a passport can take eight days. A US passport is valid for ten years, so investing in one now means I’ve got a decade where I don’t have to worry if I’d be able to go help a loved on in an emergency. 2. Likewise, you need a passport in case something good happens. Last year, the company I work for flew three of my coworkers to Germany with relatively short notice. This year they’re sending one of my coworkers to Canada then to London and Paris next year. Sadly, I haven’t been tapped to go on these trips, but the possibility exists. Without a passport, I’d have to turn down a trip on the company dime. A few years ago some friends of mine had frequent flier miles that were about to expire, so they offered to fly me to Africa to visit them. Unfortunately, I hadn’t renewed my passport, so I missed out on what would likely have been a great trip. These opportunities are rare, but that doesn’t mean you shouldn’t be ready for them; it means that you should be prepared to take advantage of them when they arise! 3. 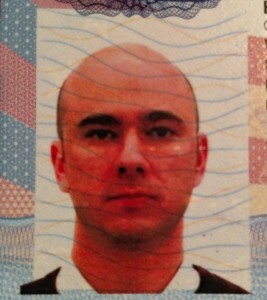 A passport is handy for identification purposes. There is a lot of debate online about whether you can use your passport as identification, but in my experience it has proven to be one of the best methods for confirming my identity. It is a “Real ID” identification recognized by all departments of Federal and State government. Perhaps a bouncer at a bar or a clerk at a liquor store would turn it away if they were unfamiliar with it, but I see no legal reason why it wouldn’t be valid. It’s an A-List I-9 acceptable document, which confirms identity and employment authorization, so when starting a new job it’s the only form of identification you have to show. Further, as of last month, Drivers Licenses from Illinois, Minnesota, Missouri, New Mexico and Washington are no longer sufficient for entry to a military installation. That may not be a necessity for a lot of people, but it is a consideration. In theory, Drivers Licenses from those states may not be adequate for boarding a domestic flight by 2018 unless the states make changes to the identification. My passport and passport card, however, will get me on the base or in that plane. 4. Your passport is empowering! It doesn’t matter if you’re not planning any international travel, because once you get your passport, you can travel internationally. It changes the way you formulate future plans. You’ll look at the globe a little differently, because your passport makes you an ambassador of your country and a citizen of the world. That’s a powerful thing. It’s one less obstacle between you and the possibility of traveling abroad in 172 countries (other countries, like India, also require a visa). Having a passport will give you a little nudge here and there; you’re more likely to contemplate Paris at night, or to think about gelato on the Italian coast. Maybe you’ll spend a little less cash here and there and instead stick that money in a savings account for your travel fund. Perhaps you’ll get a map of the world and start marking places you want to go. You just might end up getting on a plane that takes you over an ocean and then explore a part of the world that’s completely new to you. Getting those stamps feels really great! Or maybe you won’t. Maybe you’ll never make that plan, squirrel away that money, or get on that plane… But I think you will. Afraid to fly? There’s always road trips to Canada and Mexico. No airplane required, but a passport (or passport card) is mandatory. Worried about the expense? If you’ve never had one before, it will cost you $135. That’s $110 for the passport, and a $25 processing fee (which you don’t pay if you’re renewing). I guess you also have to pay for the photo, so let’s add an additional two bucks in there for a whopping total of $137. I don’t have a lot of money, so I can see how that can look like a lot of cash (because for some of us it is a lot of cash). But remember, it’s a one time payment for a document that’s good for ten years. When you look at it that way, you realize that you’re paying $13.70 a year. That, my friends, is a steal. So how do I get my passport? If you’re renewing, you can send the forms by mail so long as your previous passport is undamaged and can be submitted with your application, was issued when you were 16 or older, was issued within the last 15 years, and was issued in your current name (or if you can legally document any name changed with original or certified copies of a marriage certificate or government issued documentation of legal name change). You’ll still need to submit a new photo with your application. If you’ve never had a passport before, once you complete the aforementioned forms, you’ll have to take your application materials to an Authorized Passport Acceptance Facility. Don’t worry, there’s a handy search tool that will tell you where the nearest facility is. It’s pretty user friendly, so you shouldn’t have any trouble using it. Processing times vary on the time of year, amount of applications, and any governmental issues (like the shutdown of 2013). I received my new passport in about a month, but I have friends who have waited more than two months before. This is a great reason to plan in advance and have a passport on standby. Have questions? I’m happy to try to answer them, but I’m admittedly no expert. It may be worthwhile to check out the Passport FAQ for more information. What do I do with my passport when I’m not using it? I store my passport in that sweet leather wallet you saw above, with other important documents, credit cards, etc. All that is stored in a fireproof lock box, just in case. Since I’m so disorganized and live in chaos, I don’t take it out unless I’m going to use it. That way I don’t lose it (again- I had to seek and search the house before we went to London). Do you have a passport? Have you ever had any trouble with it, or has it come in handy at an unexpected time? Have you had the opportunity to use it, or do you have plans to use it in the near future? I’d love to hear about your experiences, so please share them with me in the comments section! Rules for Intrepid Living: Rule #39. I always prefer to think of the positive (what if I win a trip!!!) as opposed to the negative, but I also really like to be prepared for anything bad that could happen. Having the passport ready to go is good for both! Great post. I wouldn’t be without my passport – it’s the best form of ID. Plus, I’ve done a lot of international travel over the years, and I like the thought that I can head off whenever I want to. Or these days, more accurately, just might be able to afford to. And yes, having a passport is empowering – I still remember the buzz I got with my first one (40-mumble years ago). True, I look like one of the Walking Dead in the glum photo they prefer nowadays, but who doesn’t? I look very much so like a zombie in my photo! I too like the notion that I could just go to the airport and hop on a plane headed pretty much anywhere. No power in the verse can stop me! All good points. And I figure looking like crap in my passport photo is probably accurate – after I’ve spent 18 hours traveling, probably including a sleepless red-eye flight and a completely different time zone I imagine I look just like that photo. Michael has never left the country and is yet to get his passport. This definitely provided me with some information to pass on to him about getting it done, sooner rather than later. Question: Is it possible to pay the extra fees to get an expedited passport in order to open an overseas Bank account? Also, will they ask you why you need it expedited? Lastly, would they sent it for wanting it for that reason? I’m no expert, but as I recall, you have to give proof of travel plans to expedite your passport immediately or in less than two weeks. This is usually done because of an emergency, and I believe has to be transacted at a passport agency or center. For less than six to eight weeks you can expedite by mail, but I don’t believe they request a specific reason. Again, I’m not an expert, so your mileage may vary. What did you write in for the travel plans part if you didn’t have a date or country that you knew you were going to visit? Did you just write Not Applicable or did you make up dates and places for the time being? That’s an excellent question Laura! You can write NA or Not Applicable in the travel plans. You can also use this as an opportunity to start planning a trip; use one year from now as the date, and use a country that you’ve always wanted to visit. It might help keep you motivated to make that trip, and if you don’t end up making it exactly when you planned, there are no consequences to putting it down as a plan on the passport application. I just got my first passport in the mail two days ago. Not sure when I’ll have the time to use it (time and money, you know), but it feels great knowing that I have the option of traveling abroad. I’m glad to hear that you go your first passport! Even if you don’t have any plans in mind yet, you never know when an opportunity will arise! I hope one will come your way very soon!